Most of the sour beer sold has fruit in it. It makes sense because the acid from the beer helps to accentuate and brighten the naturally tart fruit, while the fruit in turn helps to soften the farmyard notes from the Brettanomyces. Some larger producers use juice, concentrate, or puree, but I find that fresh fruit is the best option when it is available (in this case sweet cherries and raspberries). People often say that fruit (seeds/pits and all) can dissolve completely as it sits in the beer, consumed by the various bacteria and yeast. This simply isn't the case, after more than a year on the fruit not only were the pits still there, but the fruit itself was still largely intact (and that was considering it was frozen and defrosted before adding to breakdown some of the cell walls). This high gravity lambic, after such a long time on the sweet cherries and raspberries, overflows fruit aroma, but the aromatics belie the big funky flavor you get when you take a sip. I'm not sure why some beers don't have matching flavors and aromas, but this beer has a very misleading fruity aroma that contrasts the Brettanomyces driven flavor. Appearance – Beautiful orange-red with a thin white head. Nearly clear. It doesn't have the deep garnet color and pink-ish head that some kriek lambics have, not sure if it is a question of amount of fruit or specific variety. Smell – Big farmyardy nose with cherry skin and raspberry. There is some fresh lemon and mineral in there as well. The combination of raspberry and cherry along with the funk is a good one. Taste – The flavor leans much more towards an earthy-funk (damp leaves or wet hay especially) than the nose did. There is some fruit, but the nose is misleading. Light acidity, not as much as there should be. As the beer warms the alcohol provides some floral/perfume notes that add to the complexity. For a bigger lambic it is plenty dry. 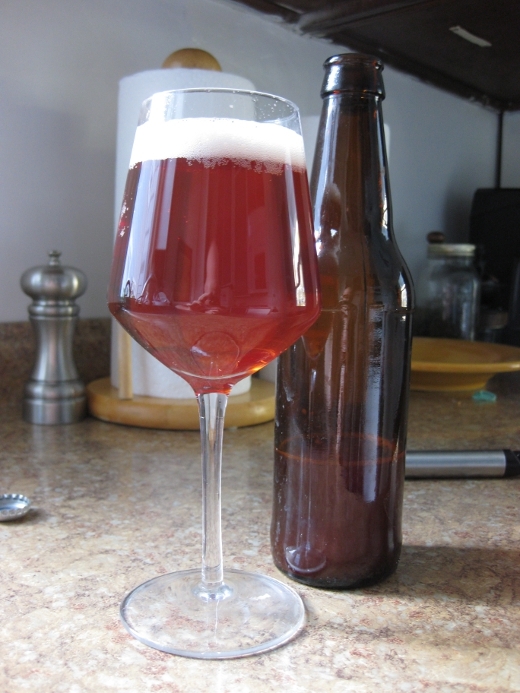 Mouthfeel – A bit big for a lambic, but the carbonation helps to lighten it up. There are some tannins that help to balance it as well. Drinkability & Notes – Not a bad beer, but not great either. The high OG prevented souring even with the additional year on fruit. I love the name of this beer! Looks fantastic, I'd love to try some. Perhaps a homebrew exhcange? 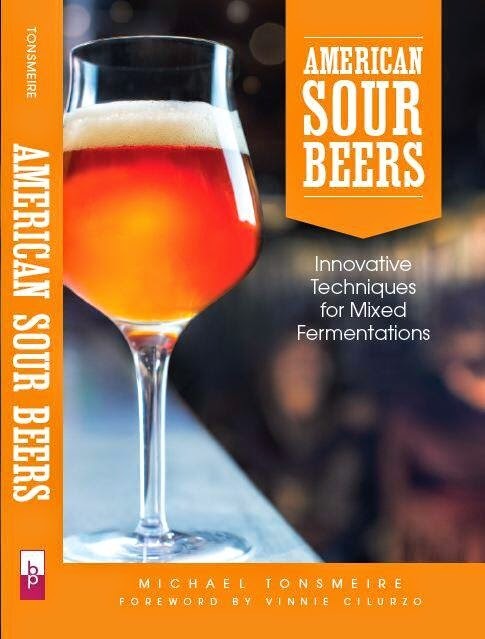 I'm a reluctant trader at best, but since you are in NoVa come out for a DC Homebrewers meeting and I'll make sure to bring some of this (just let me know when). Interesting. I make a mean strawberry melomel and they always seem to disappear. Very occasionally a seed or two will turn up in the glass but not often. Interestingly, I've been through the lees and not found all that much debris there either, so I concluded that for the most part they really did all disappear into the drink. Do you puree the strawberries? How long do you age the mead?